One of the first commercially produced computers, the company´s first customer was the US Navy. 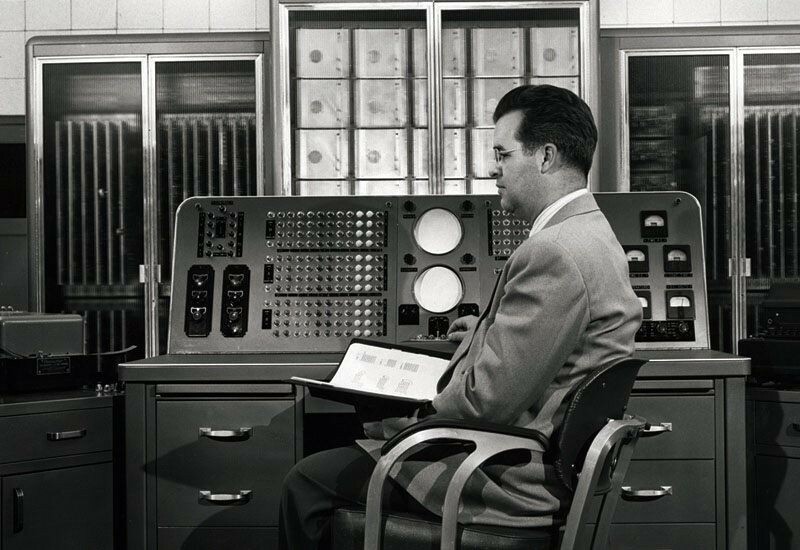 The 1101, designed by ERA but built by Remington-Rand, was intended for high-speed computing and stored 1 million bits on its magnetic drum, one of the earliest magnetic storage devices and a technology which ERA had done much to perfect in its own laboratories. Many of the 1101’s basic architectural details were used again in later Remington-Rand computers until the 1960s. 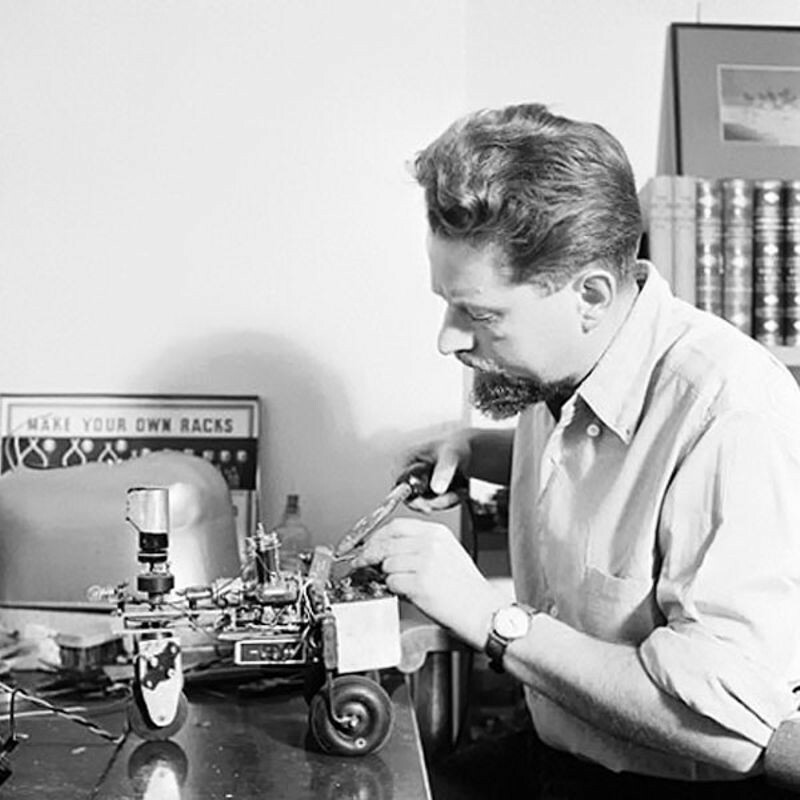 A neurophysiologist, Walter built wheeled automatons in order to experiment with goal-seeking behavior. His best known robot, Elsie, used photoelectric cells to seek moderate light while avoiding both strong light and darkness—which made it peculiarly attracted to women’s stockings. Isaac Asimov's I, Robot is published. 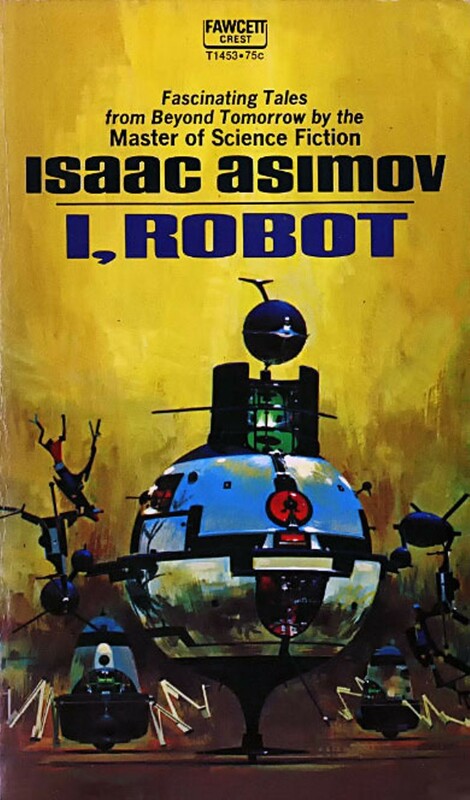 Perhaps in reaction to earlier dangerous fictional robots, Asimov’s creations must obey the “Three Laws of Robotics” (1941) to assure they are no threat to humans or each other. The book consisted of nine science fiction short stories. Eager to enhance America’s codebreaking capabilities, the US Navy contracts with Engineering Research Associates (ERA) for a stored program computer. The result was Atlas, completed in 1950. Atlas used magnetic drum memory, which stored information on the outside of a rotating cylinder coated with ferromagnetic material and circled by read/write heads in fixed positions. ERA successfully sold a commercial version of the Atlas, the ERA 1103. 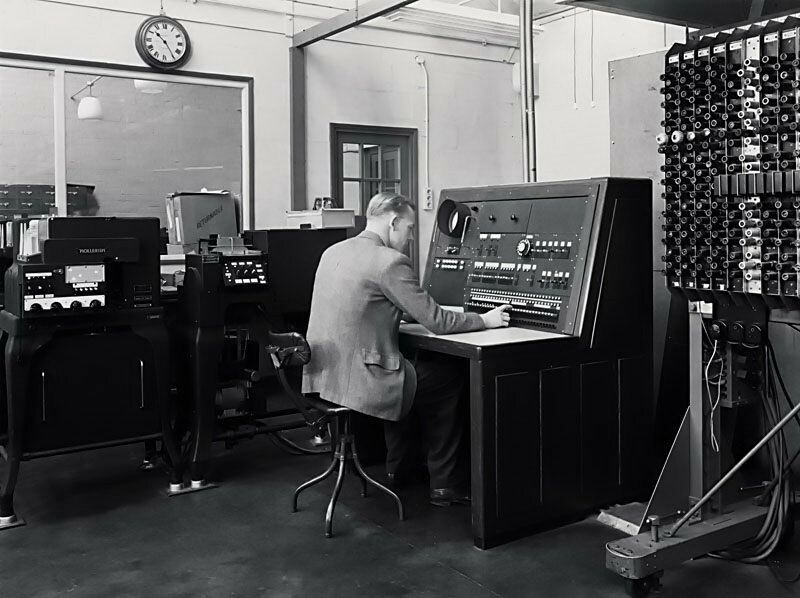 Based on ideas from Alan Turing, Britain´s Pilot ACE computer is constructed at the National Physical Laboratory. "We are trying to build a machine to do all kinds of different things simply by programming rather than by the addition of extra apparatus," Turing said at a symposium on large-scale digital calculating machinery in 1947 in Cambridge, Massachusetts. 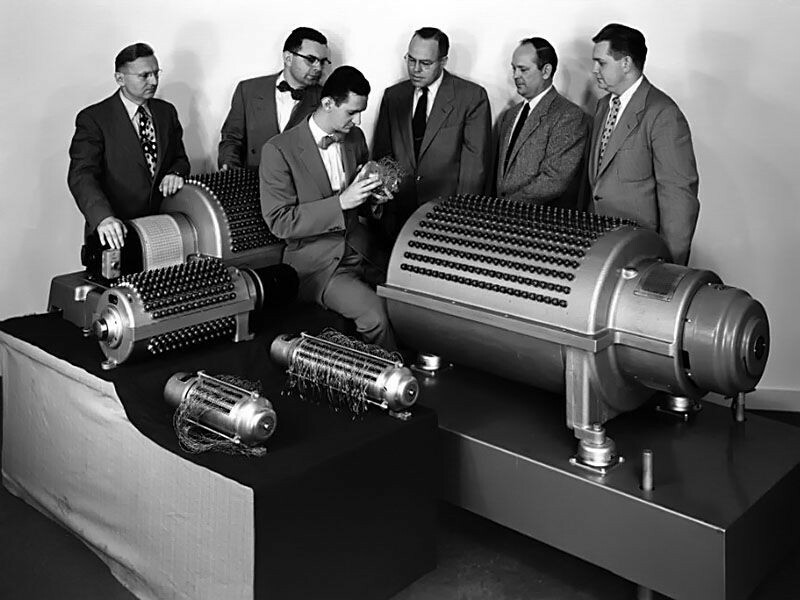 The design packed 800 vacuum tubes into a relatively compact 12 square feet. The Standards Eastern Automatic Computer (SEAC) is among the first stored program computers completed in the United States. It was built in Washington DC as a test-bed for evaluating components and systems as well as for setting computer standards. 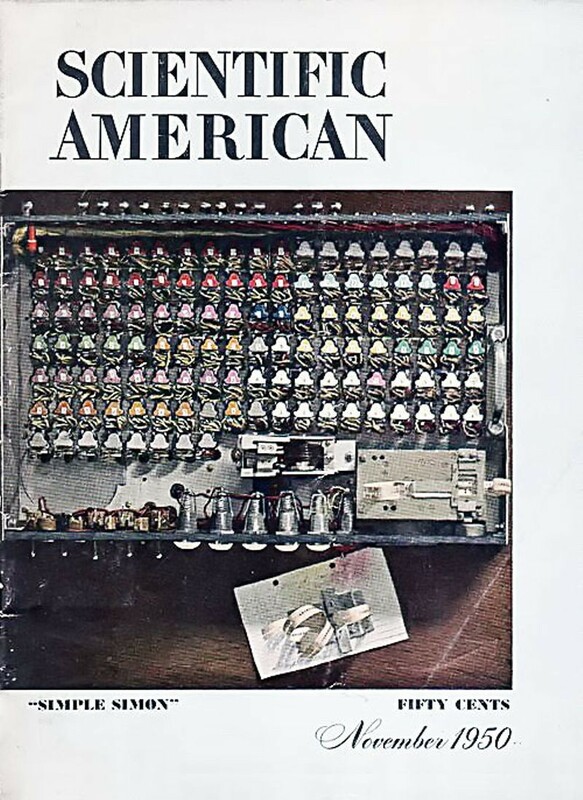 It was also one of the first computers to use all-diode logic, a technology more reliable than vacuum tubes. The world's first scanned image was made on SEAC by engineer Russell Kirsch in 1957. 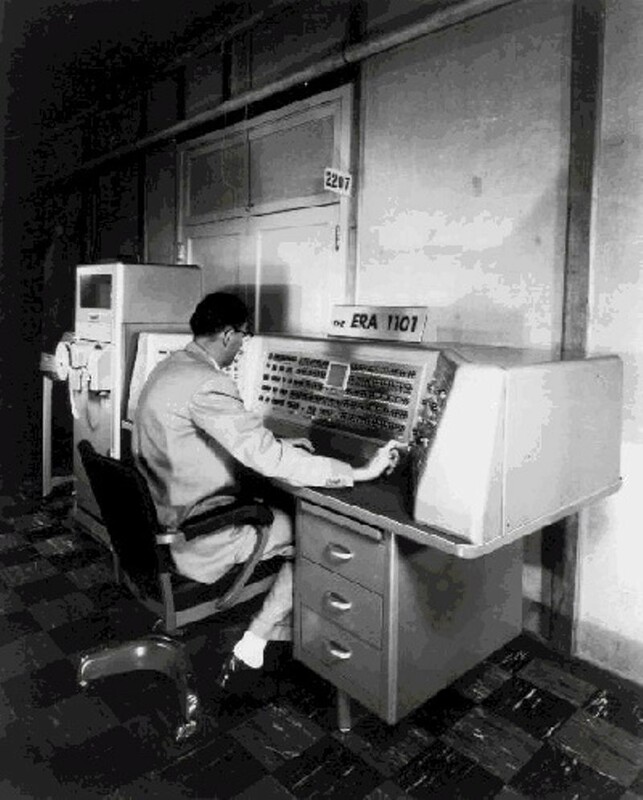 The NBS also built the Standards Western Automatic Computer (SWAC) at the Institute for Numerical Analysis on the UCLA campus. Rather than testing components like the SEAC, the SWAC was built using already-developed technology. SWAC was used to solve problems in numerical analysis, including developing climate models and discovering five previously unknown Mersenne prime numbers.